California may be in the midst of a severe drought, but Food Runners is not. At Food Runners, these days, the adage is more akin to, "when it rain, it pours." 75 sandwiches from the DeYoung Cafe here. 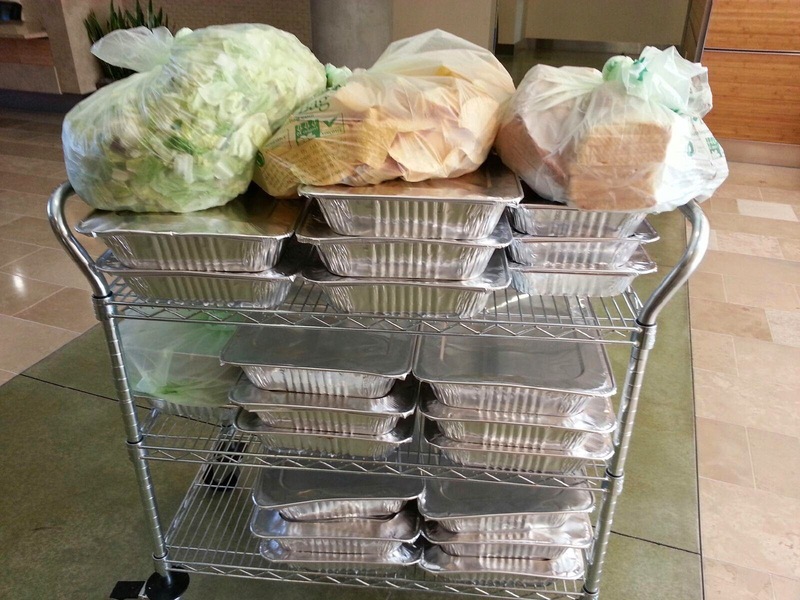 Catered food for 100 from Foxtail Catering there. A complete Mexican spread from Xamarin. A Thai feast with all the fixin's from Craigslist. Peruvian dinner delights from Go-Daddy. At Heroku, trays and trays full of the healthiest of healthy dishes you've ever seen, using only the finest locally grown ingredients. From Whole Foods, an entire grocery cart's worth of packaged strawberries still pretty and ripe enough to feed school children. At Moscone West gallons and gallons of fresh milk. From Amici's East Coast Pizzeria, ten pizzas prepared especially for donation to Food Runners. All this and much, much more in a typical day's donations. How does all this food get picked up and delivered? Volunteers, of course. If you've ever wondered whether or not a small group of committed citizens can meaningfully change their community, wonder no more. 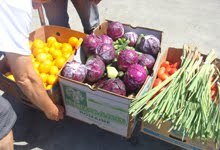 Food Runners volunteers are doing it every day! On Saturday mornings, hours before folks start lining up for a free meal at City Team, Food Runners volunteers Dawn and Dede are there in a car bursting with donations that provide the majority of ingredients for that very meal. Volunteer Patty B starts her weekend at 6:30AM every week by picking up and delivering an SUV full of donated groceries to a subsidized housing apartment building serving low-income seniors and disabled. When Patrick at Fork and Spoon Catering can't stand the thought of throwing away food leftover from an event, he's on the phone to Food Runners. Fork and Spoon is right in volunteer Karin C's neighborhood. Karin loves picking up Fork and Spoon's delicious donations and delivering them to one or more of the small group homes in the surrounding area. Dedicated volunteers game enough to brave rush hour traffic scoot around in congested SOMA on a daily basis picking up lunch leftovers from tech firms like Crowdtilt, Okta, Air bnb, Zynga, Open DNS, Meraki, Lookout .... the list goes on and on! If you have ever performed community service, you already know what Food Runners volunteers know: community service is as important, if not more so, to the person who serves as it is to the recipient. Dr. Martin Luther King said, "everyone can be great because anyone can serve." 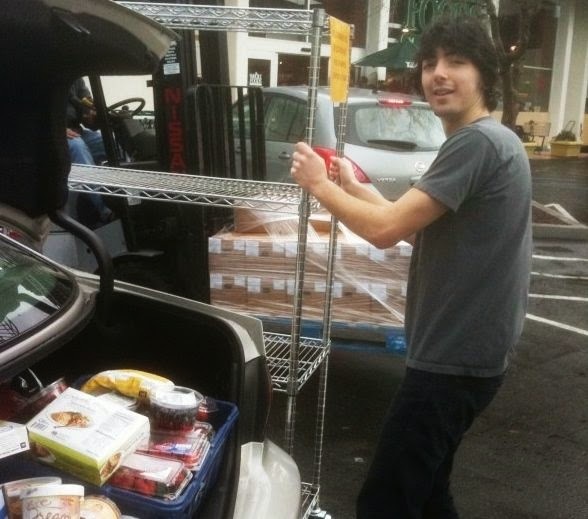 Food Runners volunteers live a little greatness every time they perform a food run. Raindrops fall alone, but together they can cause a flood. When it rains, it pours!